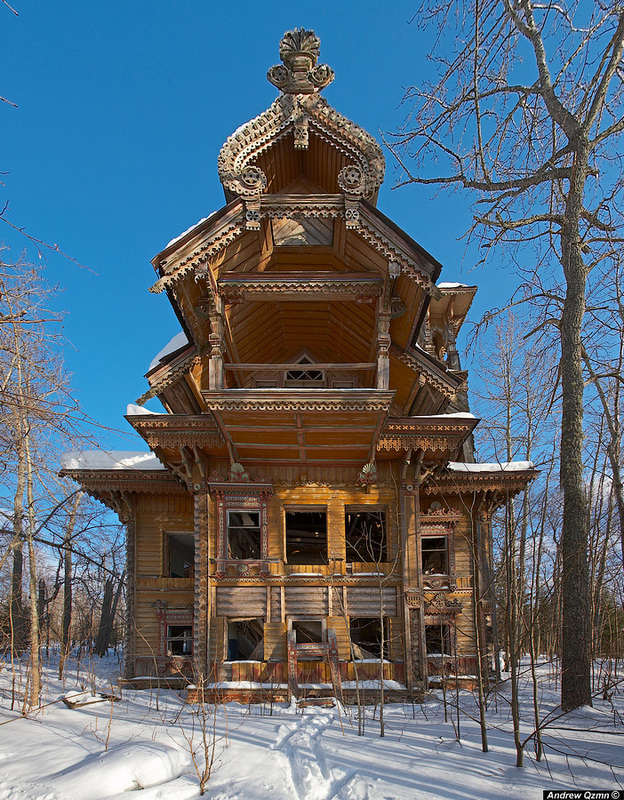 Some other masterpieces of Russian medieval wooden architecture were found abandoned. 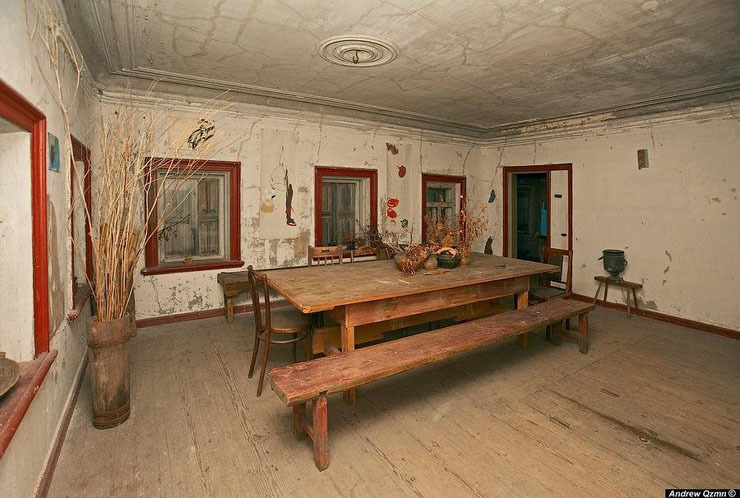 Some of them look like they are just left – even some furniture stays on its places. The reason they are so undisturbed – it stays deep inside the Russian forests. Amazing and very interesting. Incredible detail in the woodwork. Thanks to the photographer for posting, I would love to see more of these wooden masterpieces. Guys (1) these houses are not medieval – one was built in 1897 another one in 1903 (2) the one with furniture is not abandoned – it belongs to a friend, an artist who bought it from village council back in 1972 and saved it from destruction like the other one, since the village became abandoned. (3) The one which is ruined I am restoring with a help of a few friends. The story of the houses is quite interesting. They were built by two friends, local peasants who left their villages for St petersburg, rose from construction workers to propritors of large construction businesses (in fact one of them had worked as contractor during renovation of Winter Palace in St Pete in 1890s). Both of these peasants quit St Pete to retire in their home villages and built these estates there. 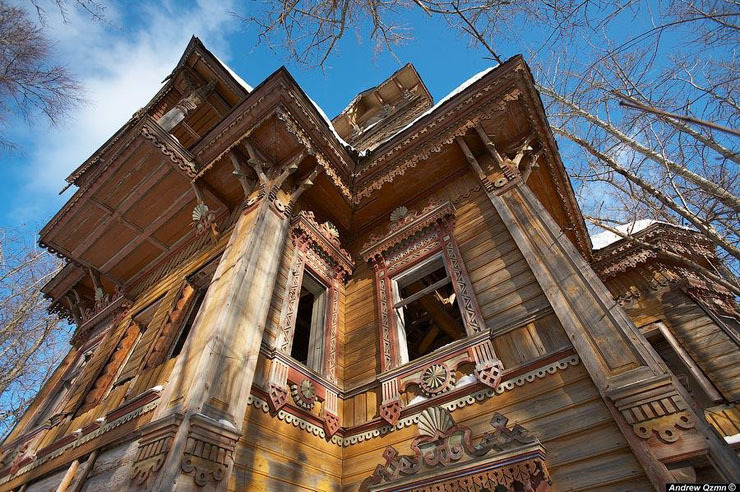 Both houses were built without an architect, by these peasants themselves, but one used plans and drawings of fashionable Russian architect who was one of the creators of this”gingerbread” Russian art-noveau style of the 1870s-80s-90s. The houses stand 18km apart from each other in now abandoned villages. We plan to open guesthouse/museum/hunting lodge in the one we are renovating. The other one as I mentioned is private summer house of the artist from Moscow. How is your restoration proceeding? Well, to get serious, it is tawdry to my Northern eyes. Sorry. That is not to say that it could not be beautiful to others – it very well can. “Northern”? Russia is pretty far north. The small country at the right topmost corner of the map — Russia. The tiny piece of area above Europe — what you call “north”. Worry not for, indeed, I should not have expected you to understand the difference between notions of geography and culture. So, just in order to set you on the right track: culture-wise, Russia is from the East. Try mulling, pondering over that for a little space of time, and then go to the library, find some books .. Then open them and read. C’mon, my dearest northern child, if you say “north” you mean geography. And when you say “my Northern eyes” I guess you mean “my estonian eyeballs” which is neither north nor northern by all means. Go library and study Novgorod, Kalevala (part of Russia’s folklor now too), etc. Dear friend, I said northern, did I not? There is a distinct difference in meaning between ‘north’ and ‘northern’, is there not? I am glad that you recognized Kalevala as Finish ethnics, it *is* correct. But it is also Karelia’s part. Unfortunately (or fortunately), Finno-Ugric area and culture is big enough so that there was enough place for it in Russia too (that’s why I’ve said “part of Russua’s folkore now too”). I am glad that I’ve recognized your origin properly, actually I’ve almost nothing against Estonia 🙂 Actually keep going — your comments make this resource much more interesting and funny! Take care. Thank you, sphinxo, my good chap, I do appreciate your kind words. Two replies? Well, yes, the thing is that more often than not my browser does not work for some odd reason (this was not the case with Kalevala, though, I simply hit the Enter key too hastily). I have tried Safari, FF and IE, but they have proven equally lousy. Maybe it is because of the Internet connection I currently have, I would not know, being so incompetent when it comes to computers. Any suggestions? Of course, Kalavala is Karelia’s, too. Think of the people who live, or used to live, there. Actually, a good question – what is the name of the Estonian epic? As to my origin, why is it that you think I am Estonian? And this is, incidentally, a good occasion to recapitulate that I have nothing against Russians as well. I think your browser it ok, I suspect that either the route to this site or the site itself is a bit slow. Oh, all right. I put up my paws. You win. But this does not mean that I am not allowed to have some fun, does it? By the bye, the Estonian epic is ‘Kalevipoeg’ (The Son of Kalev). And, I am sure you are welcome here, no matter how people like/dislike your comments, even if it’s for “having some fun” — this resource allows that in the end! Verily, verily forsooth, you could not have said this more precisely – everything is connected. And thank you, my dear friend. Marvin you are 100% correct – Russua is not european (or northern) culturally. Russian mentality is Eastern. Russians never ever have any problems with understanding the oriental style of despotism but when it comes to the european culture they can accept technical achievements only not the ideas which makes technological advancements possible. Russian misery woudn’t strike western hearts so painfully if russians weren’t white people and chrictians which they are by some mistake of the nature. To give something more concrete to think about ere you go to the library, try straining your grey matter with the following: Catholic, Lutheran, Orthodox …. Now that’s a million dollar home. Can you imagine the work to keep it looking good? These beautiful masterpieces should be preserved and restored. India is not so good with keeping up with preserving much either. Wow… all of them are impressive and beautiful. I would like to have the first or the second, in this condition too. It need surely a lot of work, but worth it. Yes. If one sees how the ‘new russians’ are spending their money, that’s indeed the idea one’s left with. Our art will come back, once we are done with this “wealth accumulation” stage. People will stop flashing their wealth, and we will come back to our roots. The backlash against the soulless state of New Russia has already started. The book “Duhless” is a pretty good read on the subject. Just give it some time. Are you sure?i think you are not aware of “Dialectical theory”.stagnant societies will not survive for the betterment of their peoples.let them enjoy for their “one and only life”! ! ! ! ! ! ! 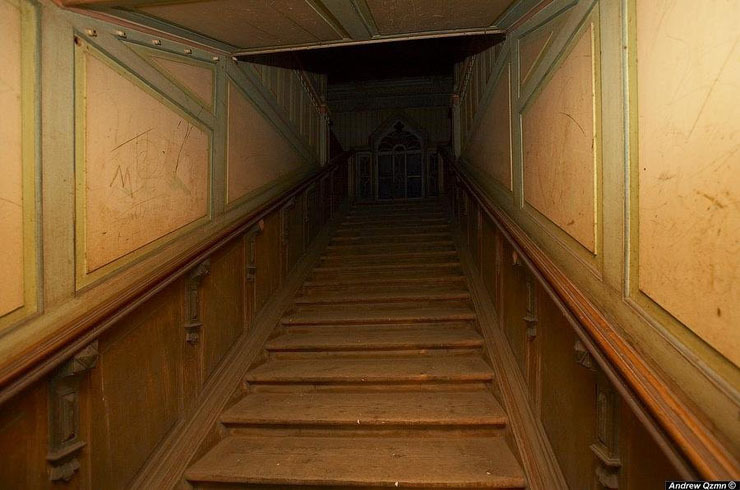 It’ll be a good place to shoot teen horror movie starring Paris Hilton. You mean good place to shoot sperm all over Paris Hilton. There are no bad places to shoot Paris Hilton. It would be a good place to shoot Paris Hilton. You mean shoot heroin together with Paris Hilton and her homies. In one picture you can see a bed, and it looks, to me, that someone still lives there. Like a homeless guy. I wonder if it’s used as a hunting cabin now. I can’t see a homeless person living out there with no food UNLESS he is hunting/fishing. the “homeless” man has a much nicer house than my own. 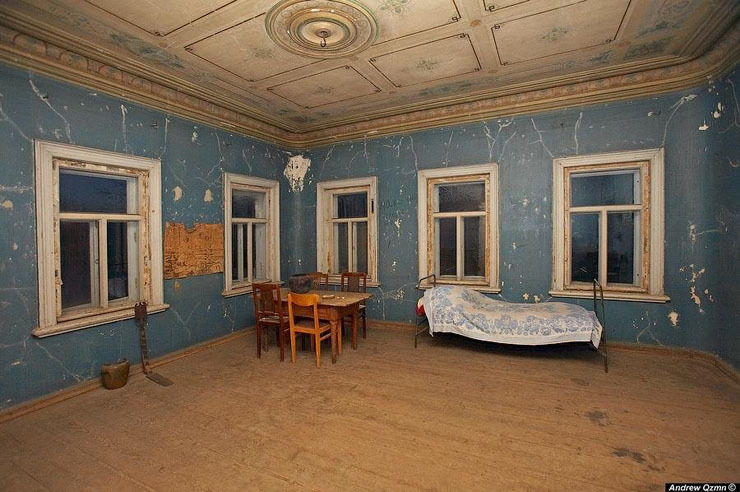 Was likely used as a ‘torture house’ during the ‘golden years’ of Soviet rule. Hence so well preserved. Could still find bodies in the bacement if you look hard enough. If this property is owned by the Russian government I wonder if they are willing to sell these properties. There is potential for restoration. House in pix 2-9 must be of museum – a well-cared for garden outside, windows not broken out, some sampling of furniture, yet not ‘lived in’. They even threw in a ‘flower arrangement’ in the dining room to help spruce things up. Unfortunately it must be a local group that is taking care of it as there is much more work to be done. Nice that someone is looking after it though. These pix show some impressive craftsmanship. It would be nice if someone did step in and fully restore them as these will be lost forever, before too long, as weather and forest will reclaim them. This is so beautiful. Thank you for posting. I love this blog so much. Long may it continue. Join to Jesus’ team and felwhat is exactly amazing! Jesus loves russian people, He want heal everyone that believe. I suspect (but don’t know) that all that carving would be done in a factory and shipped in and nailed on. If you recall the industrial revolution would enable rich people in the American mid-West to build just as ornate and sumptious housing hundreds of miles from anywhere. You would just get the Sears catalogue and order away. 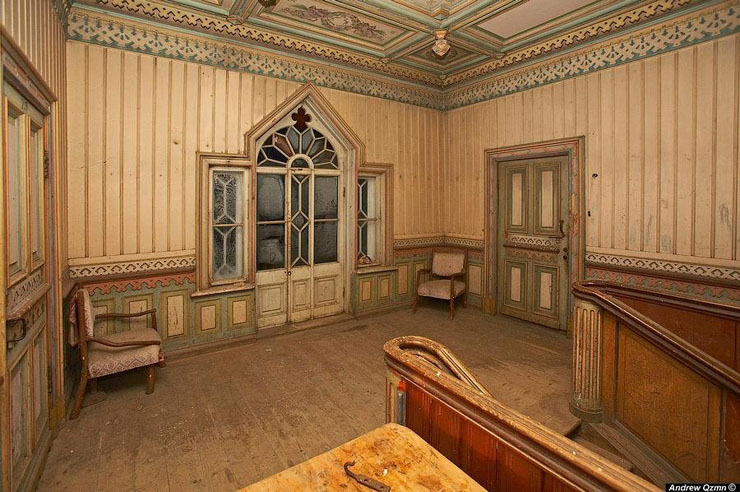 I must say though that the interior decoration looks to be all painted, and that would have been done all on site. Can you imagine how bright and vibrant those colours would have been when first laid down? What a stunning, if cold, place to live. Perhaps we can see just why the serfs finally did rise up against their exploiting rulers. Why isn’t anyone living there? Yes,see pic no,8! ! ! ! These photos made me cry.All the lives and laughter and arguments and love and children and meals in these places – now all gone, forgotten, abandoned. Gone to Gulag, I guess. That house is simply incredible! Hopefully, it will not end up torn down and forgotten. We can`t change rules of the nature! ! ! ! ! Maybe post the gps coordinates of this place so I can look on Google Maps? I had those games on a old IBM computer, 15 years ago. 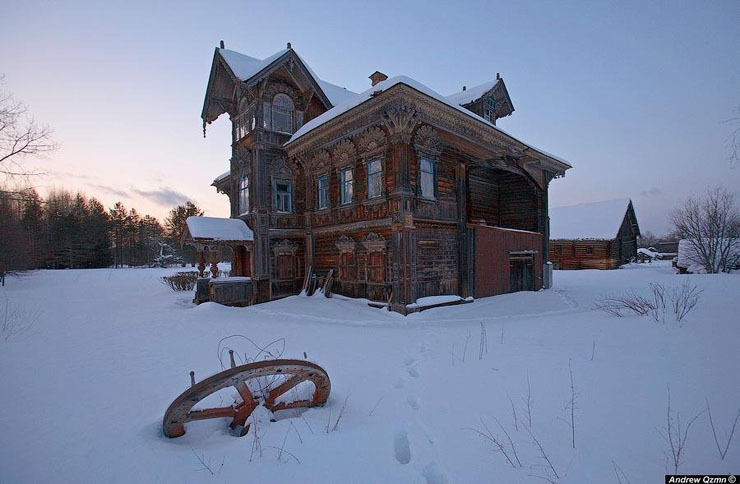 Yes, those old wooden structures are beautiful examples of 19th century Russian architecture. If you look closely you’ll notice there are three different houses shown and, in my humble opinion, only the first looks as though it would be a time consuming effort to bring it back to a relative state of livability. It is somewhat larger than the other two. But alas, to repair any of those still graceful old homes would require the resources of someone who like the original owner-builder was wealthy. The tradesmen who build them probably toiled through the long hours of the summer days in northern Russia. I certainly appreciate being able to see them for their beauty as well as for the that warm and pleasent sense I feel when seeing something sliding peacefully into the background of it’s rural surroundings. Unfortunately I cannot see the photos – the corporate firewall blocks photofile.ru where the author hosts his photos. The description says the photos were taken 550km north-east from Moscow in Kostroma region near Chukhloma town. Right, Englishrussia randomly mixed the photos from two of the three houses shown at the original site. It seems that the dark wooden house (the one with photos from the inside) has still an owner who lives there, while the other house is abandonded and completely broken inside. Pls., could you translate “терем” to English? (from Greek teremnon – shelter) – in old russian architechture – upper level of a house built as kind of a tower with gable roof. An owner of such a house was supposed to be rich (upper class). In old times this part of a house was intended for women. Thanks. I was unable to find the expression in any of the Russian dictionaries available to me. If you born at Stalin era,you might not ask this question! ! ! ! ! dear leader Stalin abandoned prosperous Russia and populate Siberia! ! ! ! ! Thank you. I was going to say the same thing but you got there first and said it better. keep us updated.. should take you a while !! These are great structures! A blessing that they are still intact, but a shame that they are not being lived in. Do these houses ever attract squatters? Truly a masterpiece! They certainly will never build them like this one, ever again! How much to airlift to USA? The state should protect these places somehow. I’d think they would be very vulnerable to vandalism, or fire. Maybe, that says something very positive for Russia. That there can exist such beautiful structures without being destroyed by crimals, and vandals! If that house was here in America, I don’t know if it would have still been standing all these years in a desolate place. Maybe, the owners live next door, which would explain it, and if that is the case, it would be similar then to here in the U.S. As long as it is still on someone’s property, and not totally abandoned, and isolated, it would likely survive here as well. now if only Harper would bring our troops back and stop helping those americans who just “accidently” friendly fire on us all the time. Nice pics; however, this building is not from the Middle Ages – far from it! 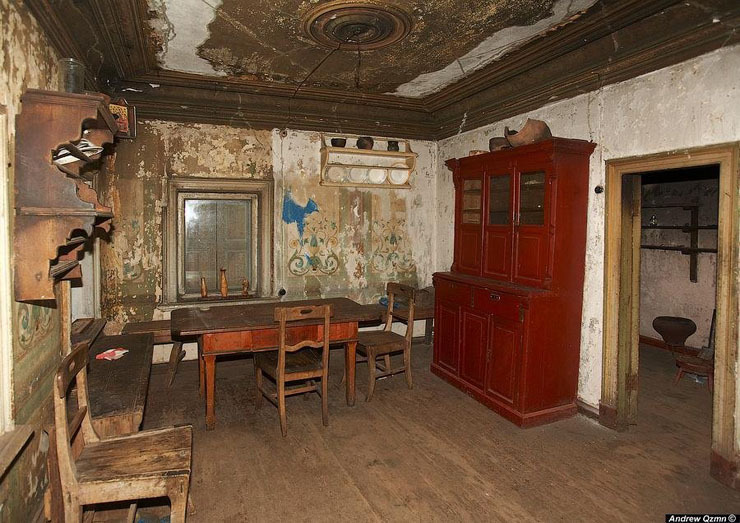 This house likely stems from the 1700s at the absolute earliest, and more like the mid to late-1800s. Nice pics though, reminds me very much of northern Michigan in the winter. In the US this is called “fretwork” or “gingerbread”. 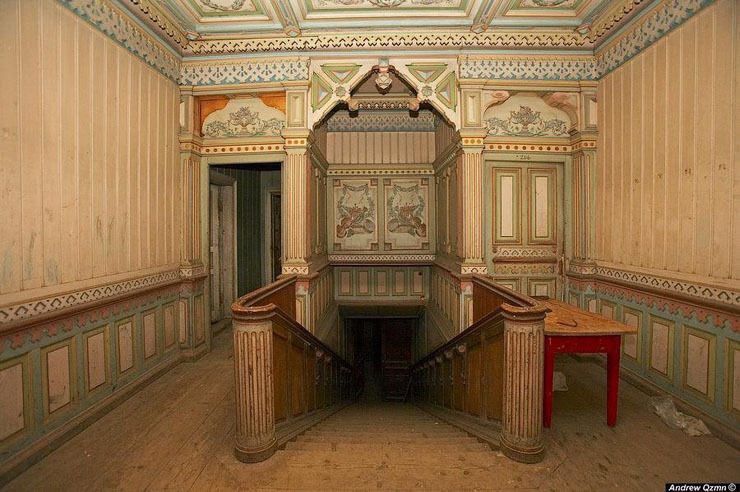 These are absolutely stunning images of craftsmanship of a bygone era. It is sad to see it empty and abandoned. I think I’d have to move my stuff in and live there since nobody else will! 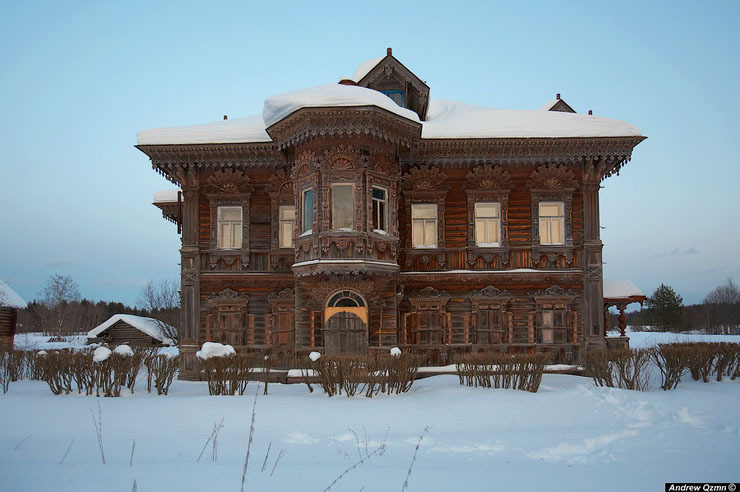 You have shown many beautiful examples of the wooden palaces of Russia. I might have the spelling wrong. Chernoble was considered to dangerous to live near, so the government closed off a large area to people and only animals live there. It might be in that area of the forest. The animals for the most part have shorter lives and the radiation is not harming them as much as people who might live there. Thanks, asdf. It’s to bad you can’t really zoom in on them, though. Ah well. i wanna buy those houses doea anyone know where i can do that ?? look at the trees in front of the house, do they look like they have bin abandoned? who cut them?? [email protected] is my mailadress…. This is great. I love the craftsmanship and details of the house. You can almost imagine how it was during its heyday. I have a big fascination with old houses. There’s quite a lot of them here in my country, unfortunately, many of them are in a lot sorrier state than this house. Plus there’s the threat of them being taken over by modern houses, which is really sad. I just love those beautiful wooden houses. They seem to me like a piece of a fairytale came true. To my Estonian friend. Time to teach you – pagans – a lesson. Just like pope suggested! Wow they are all abandoned because they are haunted omg wow it should be very hard live with the ghost so im not going in there because of that. All the things in the category: abandoned are haunted!!!! Amazing and very interesting to see Incredible detail in the woodwork. I was truly in love with it when i seen it. I would have loved to see that in person for sure. Thansk so much for sharing it with all to see. It is something to share for sure. I would like to know if you would mind if i would to use this on my Blog that I am working on. I would love to share this with my readers too. If you dont mind wonderful and thanks a ton but, if you do i truly understandfully and thanks even thoght. hapy hoildays and god bless keep up the amazing work and thanks again for letting us see throw your eyes…….. Indeed, these were houses of very rich wood-sellers from Vologda region (near Chukhloma), and they were build in the end of 19-th century. have a look here http://www.barentsphoto.com/malye-korely.45534.en.html – we have a lot of wooden masterpieces, people used to build houses like these. they served for a long time. maybe that’s why we do not preserve them – because we consider it’s “just a house”? I agree that Europe and old Asia have a lot of fantastic architecture. In truth, there are many many building of this stature over there. I still wish, though, that these particular lovely houses could be saved, to my American eyes, they are amazing, unique and fascinating. I would not tell, that Russia is an example east culture, basically it always developed on the western sample, the truth with the nuances. i would hella move in here if i knew where the hell this weas…what beautiful woodwork and architecture…though the fact that it is not rotting leads me to beleive that this is not a bulding left over from medeval times, but rather a building designed and constructed then and then inhabited for a few centuries after probably by nobility!!!! 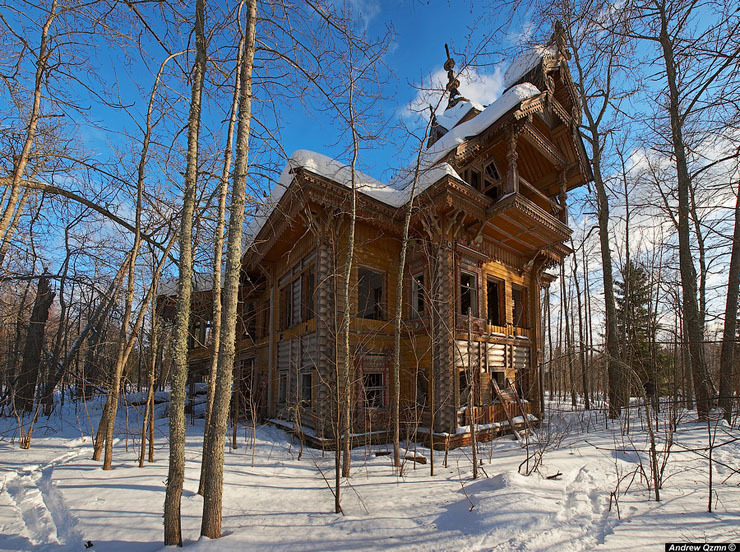 Hi Nicky, these houses, as far as I know, are located 550km north of Moscow in the Kostroma region, near the city of Chuhloma, kindof out in woods. I would think they were built in the late 1800’s, but someone else might have more info on them, or the period when this style might have been popular. Oh. These are gorgeous rooms and buildings. As a photographer, I would go to town taking photos here – close ups of the textures and abstract patterns on the walls, photos from every angle. Would be really great fun. Great photos – and thanks for sharing them. i would like to visit this village. hello everyone said what I was thinking just one question what the history or story on these houses and why are left alone was it good story or simply evil.everyone wants to move in do you people know the history go dig it up before moving.Homes take on what the owner was who lived in them good or bad.so if it was so good why no one living in it and don’t say they can’t afford too yes they could afford but don’t want too so before people packing up your bags and moving check the history and if you dig deep enough you find out what people are hiding and it never good.or else it would be lovley, home or museum or hotel.ok if you still want to move spend one night in it.and see if nothing happen come on scared go do it. esto es impresionante, la sensacion que causa a la vista es impactante!!! un lugar de ensueño, digno de un cuento de terror fantastico! Saludos desde Argetina!!! As an American, saving one of these house would be a challenge. I think the only way would be to hire a Russian law firm to buy one. There is a process that foreigners can buy property in Russia, you have to make up a corporation licensed in Russia, the law firm can do that for you. I thought it might be an amazing project to dismantle one and ship it back to the USA and reassemble it. Customs might be trouble though, and if there are any live termites in the wood, customs will burn it right there at the port. It would have to be treated and certified before shipping. All in all, a much more expensive proposition than saving an old house in the United States, but these houses are nothing like any style built in the United States, ever. They are really exciting works of art. 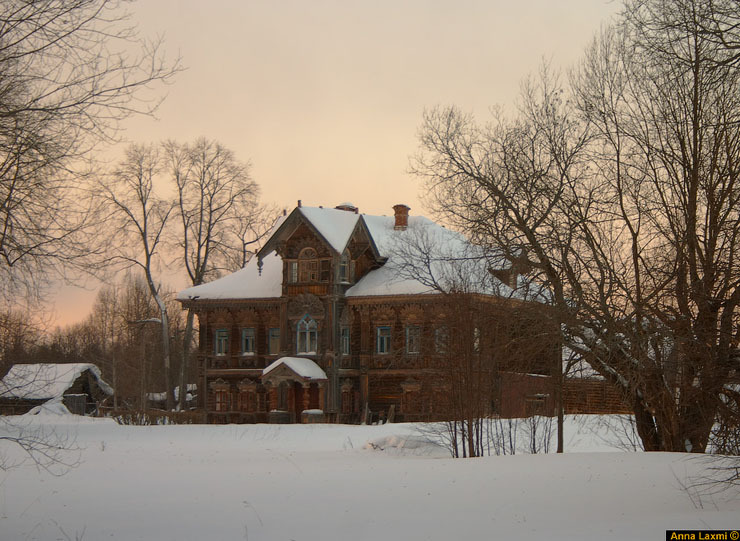 Does anyone know any back story to these houses, I know they are located about 500km North of Moscow, and these picture were taken about 5 years ago. What is the fate, and is anything being done to help or preserve these fabulous places. Yes, these are definately 19th Century houses; maybe 1860-1898. They are not medieval. Wow are all Russians haters! I don’t care! the UK will be attacking you soon! PS Im not from the UK. Wow are all Russians Racist or what! I missed the hater part. Very nice wood work! T’is a shame that such beauty befall such a trajic fate, alas all history can not be saved and shall be lost to the sands of time forever. With not a soul to suffer the burden, these houses shall fall to nature as opposed to being presurved for prostarity and future generations to glimps such craftmenship, but fear not for so long as this site exist so too shall these pictures remain, unless they fall victom to deletion by mens hand. I wonder what it would cost to have them sent to America, restored and presurved/ I most certenly would not bring them to Florida due to the weather and temperature and of course the termites would have the most grand of feast on these homes. So even if I could bring them to America I would think it unwise to bring them to Florida. Maybe a state with similer weather to their current geographical location would do them the most justice, like Alaska. Of coures even if they survived the trip their structural integrity would surely suffer from the relocation. The thing that never ceases to amaze me is that all the rich people today build enormous houses that look like airplane hangars or glorified warehouses. They fill these monstrosities with the latest entertainment gadgets but little attention is paid to architectural detail, interior decor or garden design. If I had a billion dollars to spend on a house, like the richest man in India, I certainly wouldn’t build a modernistic tower. I would hire an army of classical architects and artisans to build a house that was as visually stunning as the Baroque palaces of 17th century France. This is great – just like the place in Dr Zhivago. Came here via Google looking for answers on embedding maps on my page and just wanted to say thank you for your help! This is my ex-fiance’. Beautiful, gorgeous, ornate, naturally aesthetic yet signs of age and neglect are evident from the cold she lives in. Nonetheless, I adore her, just I do these photos. The character comes through loudly and I can hear the taunting voice becon to me. I would hope preservation comes to such lavishly labored loves. These datcha’s are awesome. Thanks to their isolation, they were able to remain intact. They are an excellent testimony of the beauty of the Russian architecture. good a wrecking ball cannot destroy the spirit! 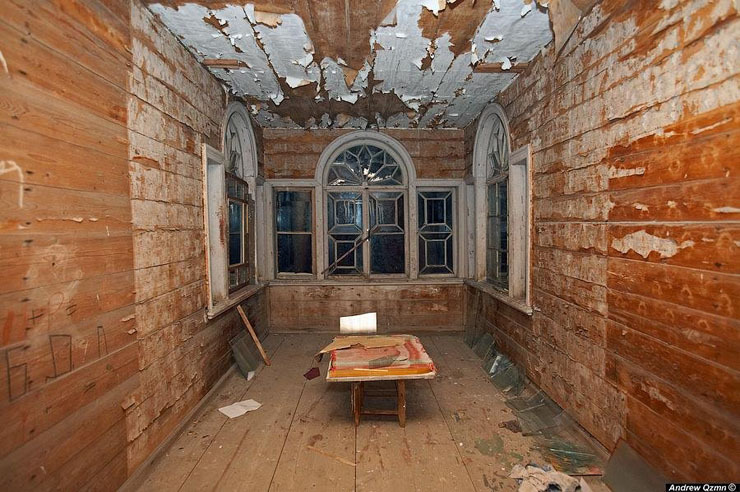 Stunning photography, makes you wonder about the history of those rooms. Great job. You you should make changes to the post subject English Russia » Abandoned Wooden Miracles to something more generic for your blog post you make. I enjoyed the the writing however. You can also use sitevaluestats.com free backlinkgenerator. It’s a nice linkbooster that shows up in Google within seconds. I do recommend it for fun. Splendid, Can I buy this house? What was it? When it was build? Thank you for posting these beautiful pics. I live in the north, too, in English Russia — or, American Russia, that is. 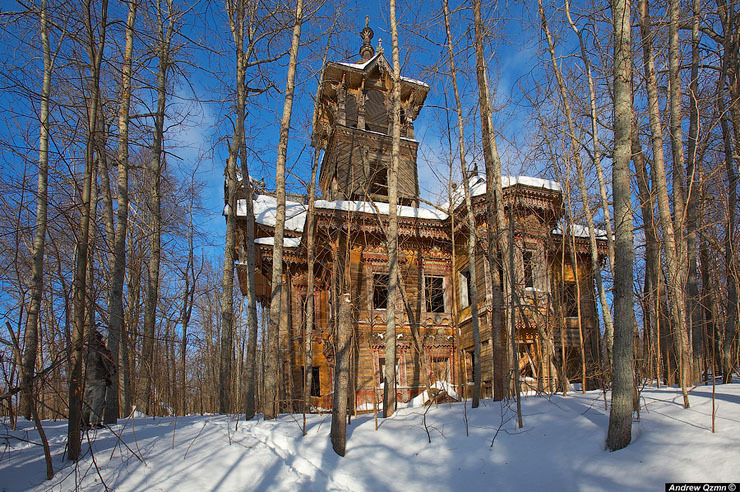 (Alaska)Using photos of old Russian wooden house details and churches to design our weekend cabin at Alyeska, especially window fretwork, and thick roof shingles, similar to the church on Kizhi Island. Hoping they will look like dragon scales. Thanks again! PS: Will NOT be using the examples of Russian wiring (computer cables, etc) in our design. Those were so funny, I spit out my coffee while scrolling through them. When I saw wooden houses in Estonia that had been abandoned and left as is, it was because the families were forcibly removed for political reasons and they never returned. I like this site very much, Its a real nice office to read and receive information. “A little in one’s own pocket is better than much in another man’s purse.” by Miguel de Cervantes.